Is Gwyneth Paltrow Wrong About Everything ? 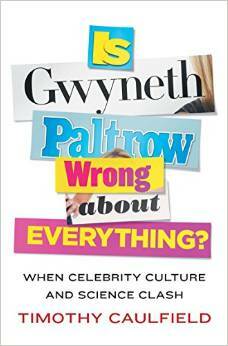 The long answer involves a readable, thorough and systematic take-down of our fantasy culture around ‘celebrities’ . How parents waste their resource and the their children’s lives pursuing impossible sports or acting/singing/dancing goals, for example. How people waste huge amounts of money on bogus ‘cleansing’ and dieting fads which have virtually zero real benefit. How people think that they can become famous and do not understand what the odds mean for them. Why some of us pursue fame as a goal in itself. This book is a good read. If it seems daunting, you can read chapters or sections without having to read from start to finish. This entry was posted in Uncategorized and tagged Culture, Fame, Society. Bookmark the permalink.